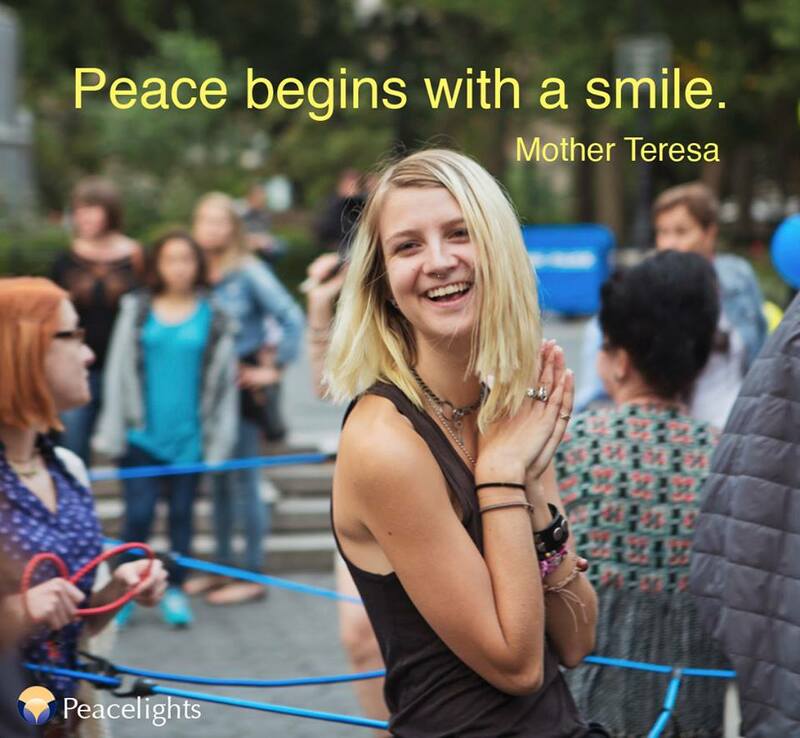 Last month, we celebrated the International Day of Peace by going to Union Square in New York City and inviting passers-by to connect to each other in the name of peace. We have been doing these events since September 2010, when the first Connect for Peace was conceived of with the Peacelights Partners. As we let ourselves be drawn by the stronger pull of what we truly love, we are going out, beyond our circle, beyond our communities, to find ways that we can connect with others and share an experience of peace and intimacy. Because I really believe now is the time for that expansion. What moves me so much is listening to the interviews of passers-by who join us. They share from their heart, they seem to understand what we are doing even more than we do. They expand on the subtle lessons learned in such a profound way. I’m so grateful for their contribution. The title for our blog today comes from the interview above, in Spanish. In it, a candid man is asking for what he really wants: “We want peace in this country, we want tranquility, we want nothing else. We don’t want racism in this country. Friends, if you are listening, unite on the ribbon of peace." How beautifully said. Below are more interviews from participants in our event last month. Their words move me and inspire me. I hope you enjoy them. Some people stumbled upon our street happening on their way home after a long day at work. Given the recent bombing in New York City, many New Yorkers were shaken up and thinking about what was going on in their city and in the world. This couple held resilient amidst all that was going on around them. "We are all one light, we are all one drumbeat, we are all one heartbeat. I think we're the generation that can bring peace to this earth." The bungee cords had a profound effect on how this participant perceived the world around him. It gave him hope that peace, while not easy, was possible. "It was showing that peace was possible." As New Yorkers are, we tend to ignore invitations to connect to strangers, but something caught her interest and she joined. "First you have to connect to yourself, before you connect to anybody else." If you found these interviews inspiring, please consider subscribing to our mailing list to stay up to date on our monthly blogs and weekly Friday Flickers, photos from our Connect for Peace event with inspirational quotes to help start your weekend. Please repost and share this blog to others who you think might appreciate it. Let's unite on the ribbon of peace!